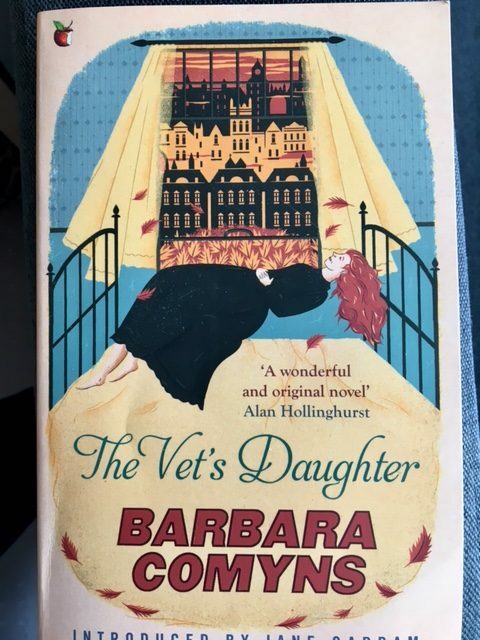 This entry was posted in English Literature and tagged Barbara Comyns, The Vet's Daughter, Virago Modern Classics by Simon Lavery. Bookmark the permalink. 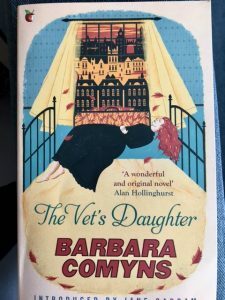 I’ve only read one Comyns (as I may have said before) and it was *strange*! I own this one, but I can see I will have to be in a strong frame of mind to read it! Karen: Perhaps I overstate the horror, but I found it pretty unsettling. There’s a fantasy element (levitation comes into the plot significantly) that mitigates the cruelty and abuse a little – but it’s still hard to take at times. Still, it satisfies Henry James’s stipulation that, provided a novel is ‘interesting’, it’s worth a look. Interesting analysis of those early paragraphs. They certainly convey an off-kilter tone right from the start. As you may already know, I didn’t get very far with this one when I tried it last year, but maybe I should give it another shot at some point. It sounds a lot darker than Spoons, more brutal perhaps. Jacqui: yes, I read your post about not finishing it. I can sympathise: it’s not an easy read. Like the young woman in Spoons, and the girls in Sisters by a River, the protagonist is subjected to some cruel behaviour by a man. She’s desperate for love and affection, and deserves so much better than she gets. The levitation stuff is pretty weird, too.